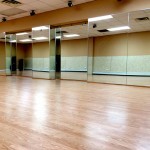 This unique program is designed keeping kids and teens in mind where they can learn dance and progressively move to the next level. Our students will have the opportunity to perform at our annual Emerging Stars Recital Showcase. They have had many opportunities to perform at various events ranging from community to celebrity shows including Unforgettable Tour, Bollywood Music Awards, Krazy 2 with Sunidhi Chauhan, and many more. 3-month Class Session – start from September to December, January to March, April to June. The trial class fee will be deducted from the monthly fee with annual registration. 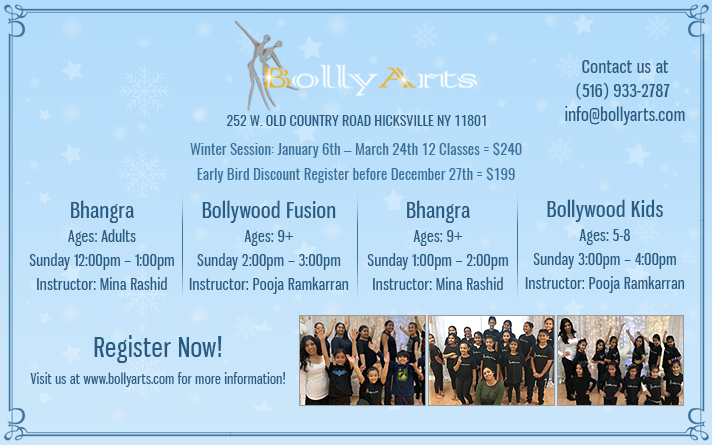 BollyArts offers 10% sibling discount for all kids and teens classes only. Sign up for our mailing list to get additional discounts and promotional offers. Rooting from Indian cinema, Bollywood Dance combines traditional and cultural south Asian dance forms with western dance styles such as Jazz, Contemporary, salsa and Hip-Hop. This dance form represents a picture-perfect combination of flavorful dance styles from around the world. Bhangra, the most vibrant folk dance in India, seamlessly mixes with the elements of Bollywood Dance to create Bollywood Bhangra. This dance form brings forth the traditional movements of the popular folk dance and presents itself on Bollywood’s biggest dance numbers. Students also learn routines to some traditional Punjabi music Read More..